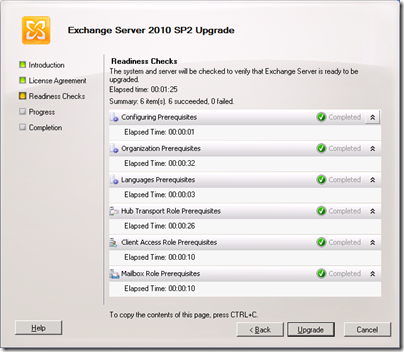 Microsoft has released Exchange 2010 SP2, which I have successfully installed on my small system. There is a description of what’s new here. The most notable features are the Hybrid Configuration Wizard for setting up co-existence between on-premise Exchange and Office 365, and Outlook Mini for low-end phones with basic browsers. A hybrid setup lets you include on-Premise Exchange and Office 365 Exchange in a single organisation. You can move mailboxes back and forth, archive messages online (even from on-Premise mailboxes), and synchronize Active Directory information. The feature is not new, but the wizard is. This looks similar to the Exchange migration tools for BPOS and Office 365 so this is mainly a matter of baking them into the product. 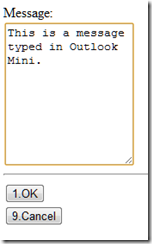 Outlook Mini is very retro; I like it. It is also called Outlook Mobile Access and is similar to a feature of Exchange 2003 though it is new code; it is actually built using Outlook Web Access forms and accessed at the url yourexchange/owa/oma. 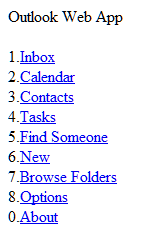 There is no automatic redirection so users will have to be shown where to find it. 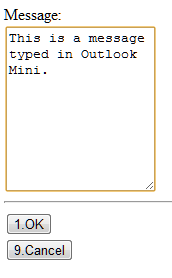 Finally, this note amused me as evidence of how far litigation issues have permeated into Microsoft’s products. But what is the point of a “litigation hold” if it is so easily bypassed? In Exchange 2010 SP2, you can’t disable or remove a mailbox that has been placed on litigation hold. To bypass this restriction, you must either remove litigation hold from the mailbox, or use the new IgnoreLegalHold switch parameter when removing or disabling the mailbox.